In manufacturing processes in the chemical, alternate energy, or biomedical life science industries, there are instances where gas or liquid must be distributed to different sources after it enters a centralized pipe or piece of equipment. Additionally, the flow of these liquids and gases might have to be kept at a various rates; certain production areas may need lower flow rates while other workstations can handle higher distribution rates. Manifold solutions allow for the distribution of liquids and gases through centralized process or pipe into branching pipes that can lead to multiple workstations or processes. Manifolds may also be used to combine different materials, such as mixing different chemicals together, since these additives flow through branching pipes into the main pipe system and into a processing area. Simple and complex manifold solutions are important for many manufacturers. 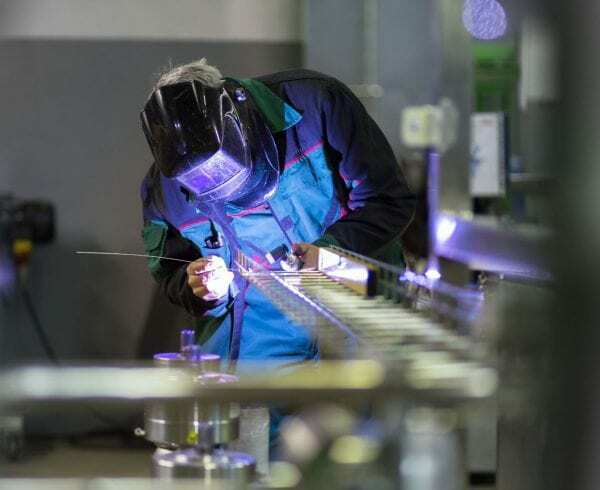 The development of these manifold systems involves pipe cutting, welding and precision tube bending work in addition to expert assembly, all performed by experienced technicians and welders. There are several issues that can arise during the manifold manufacturing process. A manifold system may include an array of valves, solenoids, or pneumatic devices. If any of these devices are not welded correctly onto the manifold system, they could produce an uneven flow that doesn’t meet the process requirements. This could lead to gases, liquids and other materials not moving through pipes at the required rate or pressure. Also, an inferior weld could potentially block a pipe by creating a drop-thru, where the surface sags or creates an undesired irregularity. With an uneven flow rate, manufacturing processes could be slowed down or or have to be stopped unexpectedly. Workers may not be able to finish creating products. In addition, the pressure could build to a dangerous enough level that it damages equipment or causes an accident. Another problem that can occur is that end products are created with a poorer quality or are defective, leaving the manufacturer to deal with inventory waste, lost productivity or missed deadlines. Axenics’ metal manufacturing services can help you avoid these issues when creating both simple and complex manifold solutions. We have more than 30 years of experience building simple and complex assemblies for our clients. We help OEM manufacturers choose the manifold solutions that are appropriate for their operations, and help them calculate flow ratios based on the materials that will pass through pipes. Then we build the manifold devices and test each one prior to shipment to ensure the highest quality components. Our processes eliminate the possibility of unwanted welding deformities so that only the highest quality manifolds are fabricated. Axenics can produce manifolds in a variety of materials, including both metals and plastics, to suit your processes, ensuring the devices will meet all regulatory compliance standards. Our services allow OEM companies that don’t have the capabilities or the personnel in house to create the appropriate manifold solutions. 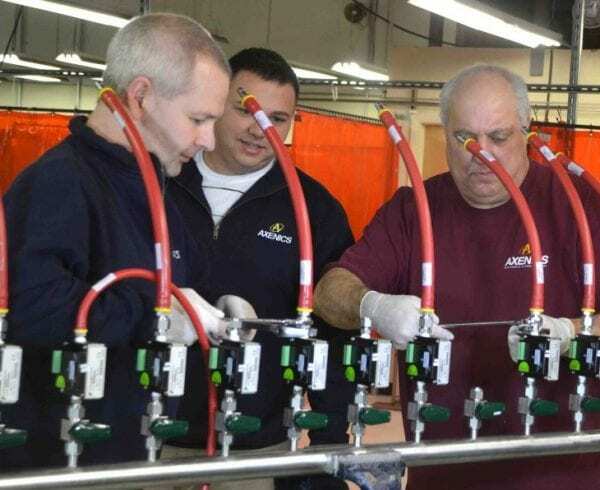 Axenics can also easily supply components so that manufacturers can repair and replace old manifold devices when they reach the end of their life cycles by providing specialty piping kits that are designed to the manufacturer’s specifications. Keep manufacturing operations running smoothly, and raw materials flowing at the desired distribution rate with metal manufacturing services and manifold solutions by Axenics. Make your processes simpler and more cost-effective with our contract manufacturing services.